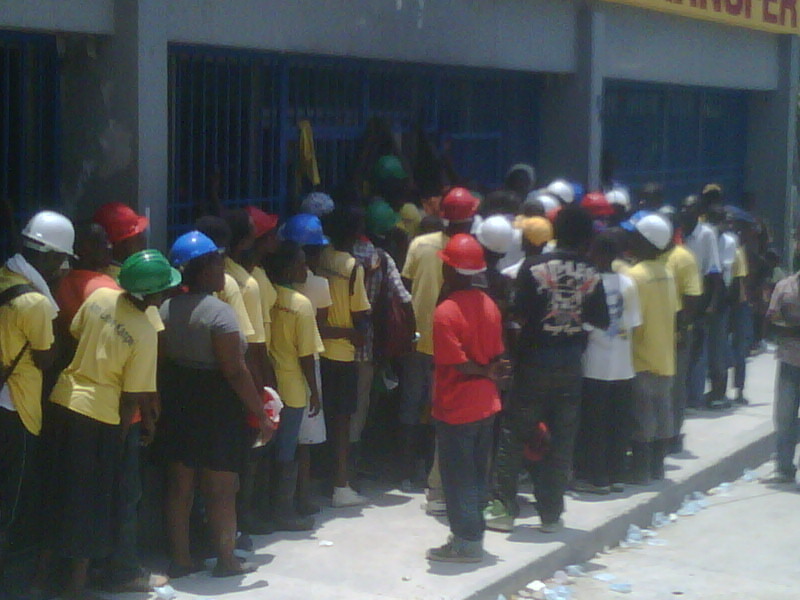 Submerging Markets™ : Haiti, May 8 2010: Pay Day! Haiti, May 8 2010: Pay Day! ...Workers hired by USAID for $4.80 per day to move rubble are lining up to get paid...hired for two weeks at a time... Perhaps we should try the same approach in Detroit, Hartford, Cleveland, Phoenix..!